Decades before women in America gained the right to vote, Simmons University had aunique mission—to educate women for independent livelihoods and meaningful lives. We empower women who are intellectually curious, ambitious, and socially conscious to become leaders in their careers and communities—and we have been doing so for more than 100 years. 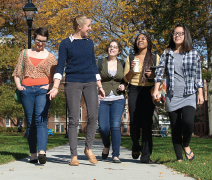 Today Simmons offers the many benefits of a small university: a cutting-edge undergraduate women’s college with more than 60 majors and programs along with numerous graduate programs. Simmons was recently ranked by U.S. News & World Report as the fourth “best value” in the North and by Money as the #1 “best value” in Boston, and consistently ranks among the top schools in its category in U.S. News & World Report’s annual survey. 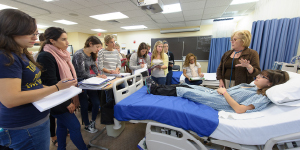 Simmons offers health science programs in Nursing, Physical Therapy, Nutrition, and more. With an expert curriculum, state-of-the-art simulation labs, intensive clinical programs, andstrong licensing exam pass rates, students quickly achieve successful careers after graduation in locations including hospitals, clinics, and rehab facilities. Located in the Longwood Medical District of Boston, Simmonshas close relationships with world-renowned teaching hospitals and research facilities. The Simmons curriculum integrates interdisciplinary study, career preparation, and global perspectives. One hundred percent of our undergraduates complete internships, field work, or research opportunities that allow them to build their résumés and gain valuable professional experience. Undergraduates frequently collaborate with faculty on professional research projects and routinely publish and present their work at industry conferences. 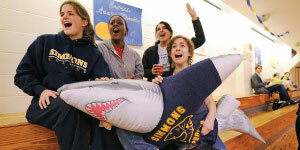 Connecting to the global community is a vital part of the Simmons experience. Faculty-led travel courses include Spanish Language and Culture in Granada, Spain; Music in Austria; Human Rights in South Africa; and Sustainability in Iceland. Students may also spend an entire semester or year abroad, with scholarships and grants available for research and independent study. Located between Boston’s vibrant Fenway and Longwood neighborhoods, Simmons offers a welcoming community in the heart of a world-class college town, including art, music, history, museums, nightlife, shopping, and more than 350,000 college students. Excellent public transportation allows students to explore the area from Chinatown to Harvard Square. Near the main campus, our gated residential campus offers a private oasis from the city, with nine brick residence halls,a state-of-the-art sports center, a dining hall, and more.